One of the oldest-running and most popular lotteries in Mexico is none other than Mexico Melate, a bi-weekly rollover lotto whose jackpots start at MXN 30 million (€1,391,825) and often multiply quickly. In addition, it offers players the chance to play two optional games that can let them play the same numbers for additional prizes. While all that sounds fine and dandy, do the game’s somewhat tough odds make it a game worth playing? Let’s find out. Long before there was Melate, there was the Mexican La Loteria, a game that shares several similarities with Bingo. Mexican La Loteria influenced the format of many of Mexico’s lotteries, including Melate. Within the country, there are two lottery operators: Loteria Nacional de Mexico and Pronósticos. The latter was founded in 1978 as a government agency that focused on bet-related fundraising efforts that would aid the public. Although the organization’s initial efforts revolved around sports betting, by the early 80s it decided that adding lotteries to its mix of games would be a good and profitable idea. And so, in August 1984, the first Mexico Melate draw took place. Since then, the game has amassed a major following within Mexico and become a symbol of financial freedom for millions of people around the country. Various changes have been made to the game over the years, including increasing the number range from the original 39 balls to the 56 that are its staple today. Two other prominent changes were the introduction of the Revancha and Revanchita supplementary draws in August 1997 and August 2010, respectively. These draws give players a chance to play their numbers again if they didn’t win anything in the primary draw. Mexico Melate is a single-matrix game that revolves around a pool of balls numbered 1 to 56. Players must choose 6 numbers from this range, and if the ones they selected match those that are drawn, they will take home the jackpot prize. Don’t feel like choosing your own numbers? Then use the Quick Pick option to have the terminal randomly choose some for you. During any given draw, a total of seven balls (six “natural” balls and one “adicional” additional ball) are pulled from the drawing machine. The six natural balls are all you need to win the jackpot, but the additional ball determines who the winners of the second, fourth, sixth, eighth, and ninth prize tiers are. Melate is a rollover lottery, meaning its jackpot will roll over and continue growing until someone finally wins it. Because of this, the Melate jackpots can occasionally reach some fairly astounding levels. If your numbers don’t win you any prizes in the main draw, fret not because for a small additional fee you can play the same numbers again in two draws that take place immediately after. These two draws are known as the Revancha and the Revanchita, and though their prizes tend to be smaller than those of the Melate draws, they are still usually life-changing sums, so they are certainly nothing to scoff at. Although Melate’s jackpots can reach some very impressive heights (more on this later), the odds of winning them aren’t that great at 1 in 32,468,436. While these odds certainly aren’t the worst, they are definitely far from the best. Let’s compare them to some other major lotteries from around the world. On the tougher side of the spectrum are lotteries such as Brazil Mega Sena (1 in 50,063,860) and UK Lotto (1 in 45,057,474). While these games’ odds are tougher, their jackpots can grow to multiple times the size of Melate’s. As for lottos with better odds, Swiss Lotto is quite comparable with odds of 1 in 31,474,716, but Colombia Baloto (1 in 15,401,568), Canada Lotto 6/49 (1 in 13,983,816), and Austria Lotto 6 aus 45 (1 in 8,145,060) are all significantly better. The Mexico Melate draws happen twice a week, on Wednesdays and Sundays at 9:15 pm CST, in Mexico City. Official ticket sales close an hour before the draw times, but if you’re playing this game from abroad, you’ll need to get your tickets a few hours earlier than that. All prizes must be claimed within 60 days from the day of the draw. The only mode of payment available via Mexico Melate is a lump-sum cash payment. For most people, this is what they would want anyways, but for those who prefer annuity payments, you won’t find that here. 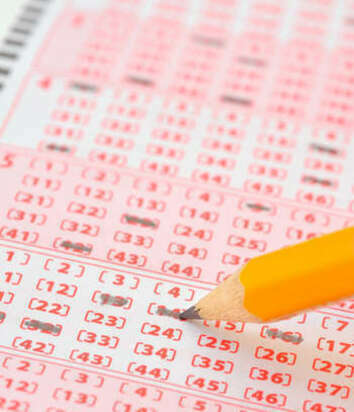 All lotteries in Mexico are subject to the same government tax rate of 7%. This amount is deducted before prizes are paid out. 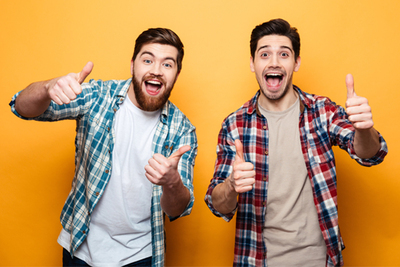 If you reside in a country that also taxes lottery wins, then you might be subject to double-taxation upon importing your winnings back home. Not sure if your country taxes lottery wins? Then spend a few minutes researching this topic online, as it’s something that every lotto player should know. While flying or driving down to Tijuana for a wild night of tequila and Mexican Melate sounds like a great time, a much easier way to get in on the action is to play the game online. Among the many perks of doing so, you’ll never have to worry about losing your lottery ticket, as many of the top online lottery sites will scan the physical tickets they purchase on your behalf. Moreover, many sites provide access to dozens of incredible lotteries from all around the world. Why limit yourself to just what’s available locally when the whole world is at your fingertips? Mexico Melate – Is It Worth Playing? Mexico Melate’s odds, let’s face it, aren’t anything to get excited about, especially since quite a few other lotteries around the world offer not just better odds but also bigger jackpots. Nevertheless, the fact that Melate features nine prize tiers as well as the Revancha and the Revanchita draws means the game still brings a lot to the table whether you’re playing it within Mexico’s borders or far beyond them. 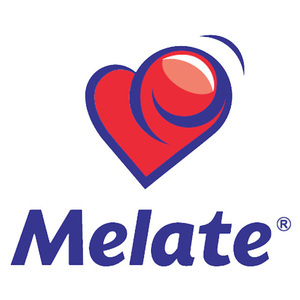 Although I've since played many other lotto games online that I think are better and fairer, I will always have a soft spot for Melate because we won a small but very necessary fortune in 2009 that made a big difference in my family's life while we were going through some financial hardships. Yes, as the reviewer here writes, the odds aren't that great but it is still a great game!